Hey guys! 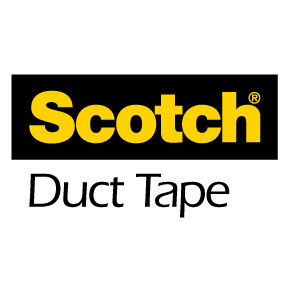 So, Scotch Colors and Patterns Duct Tape just came out with some more awesome patterns and colors. I especially loved the “Prep Chevron”. Also wanted to make something that wasn’t too flashy (which is hard for me to do…) In this tutorial I’m showing you how to make an easy purse, with a matching clutch! Create two panels by cutting two eleven 18″ strips of tape. Create the straps with one strip of tape, then folding it together. Place one strap onto to one panel, and the other on the second one. Do this BEFORE you folder the panels in half. Fold the two panels in half- you should have two panels with one strip. Connect together by taping the bottom outside, then tape the inside. Do the same with the sides. You’re done! Create another panel similar to the purse, except now we’re working vertically. Fold the panel in half. Next, fold it again, vertically, like a clutch. Lastly, tape the sides and you’re done! 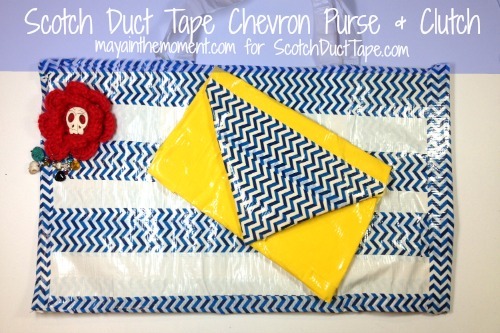 Click here to see another duct tape project!